Okay, so $2 went towards eggs, and the rest of the stuff--ribbon, hot glue, paper--I already had in my craft heap. I used to have a nice organized craft room, and then it turned into Kinley's room, so all of my craft stuff got thrown in a heap in Dave's Man Room. So, now my craft room is a pile of fun stuff. Someday I'll get it organized again, like when Kinley is a teenager. In the meantime, I just like to think of going in there to get something as hunting for treasure. It keeps the little bit of OCD I have left under control. I saw an idea for this wreath on Pinterest, but once again my link led to nowhere, so I just made up my own rules. First thing's first, plug in your hot glue gun so it can start warming up. There's nothing more annoying than a cold glue gun when you are ready to use it. 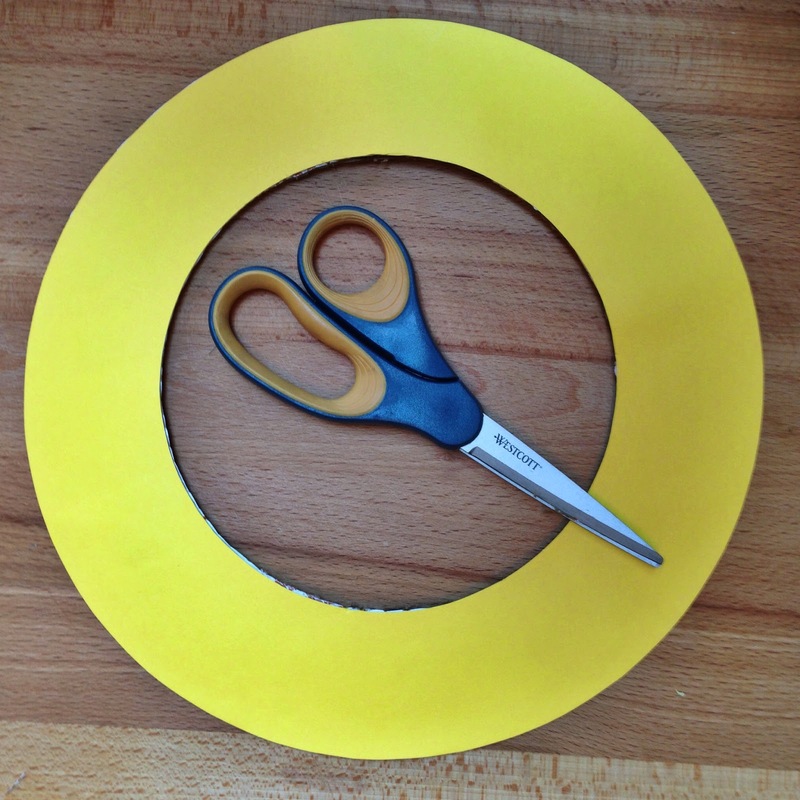 Now, for step one: find something to trace for the outer ring of your wreath. 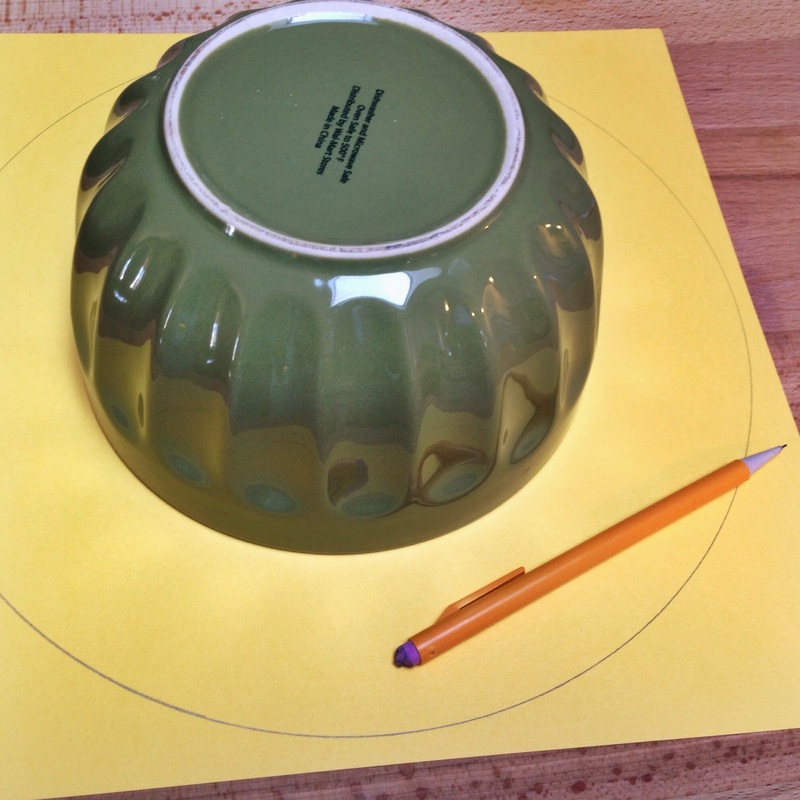 Make sure it's big enough to fill most of your 12 x 12 sheet of paper. I used a mixing bowl. 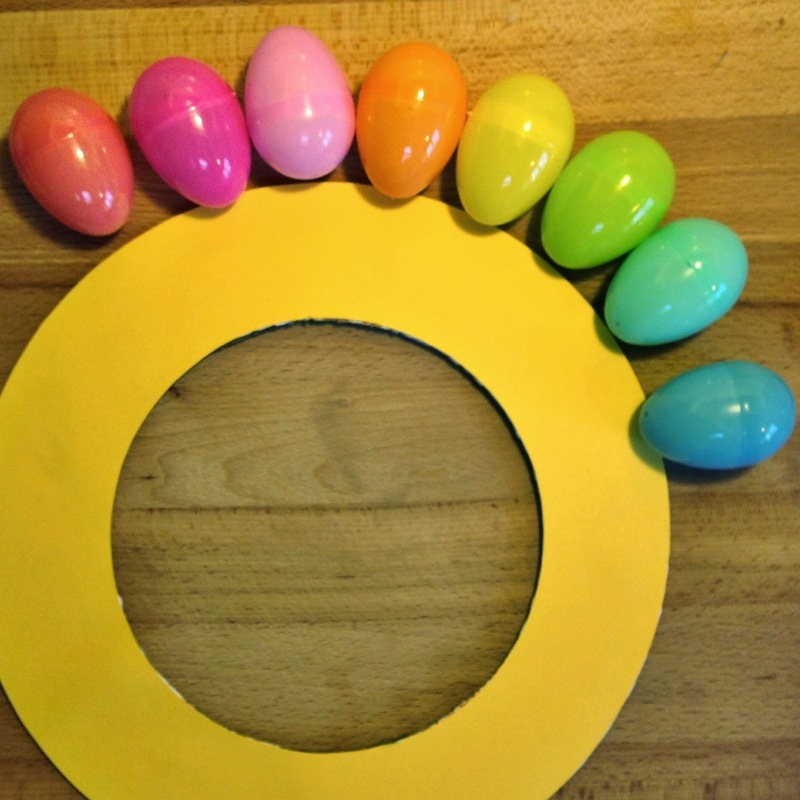 Now, find something to trace for the inner ring of your wreath. Not too thick, not too skinny, Baby Bear size (you know, just right.) 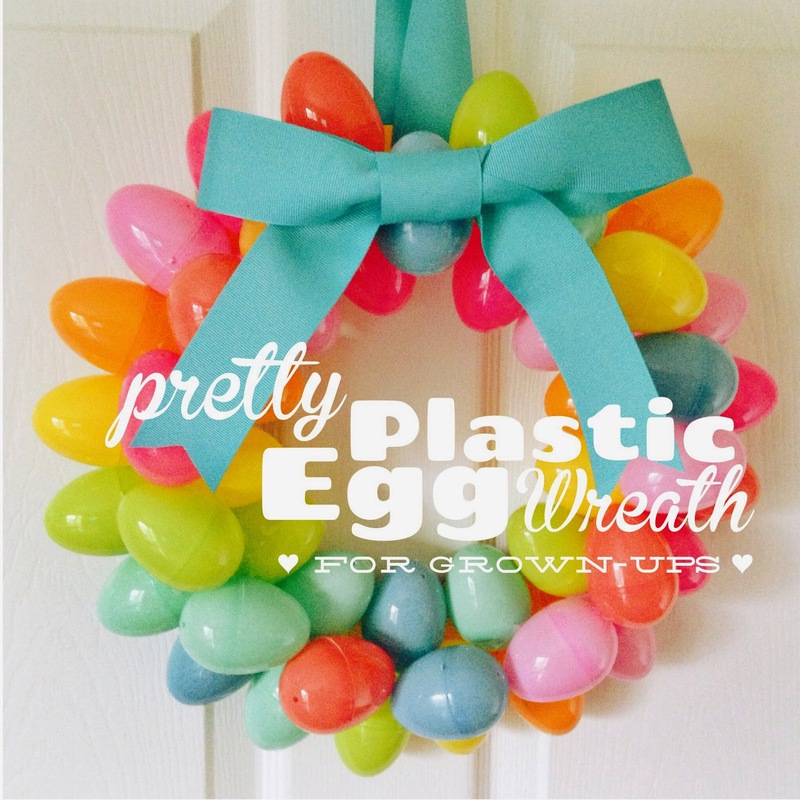 Make sure it's as close to centered as you can get it, otherwise your wreath will end up looking a little wonky. 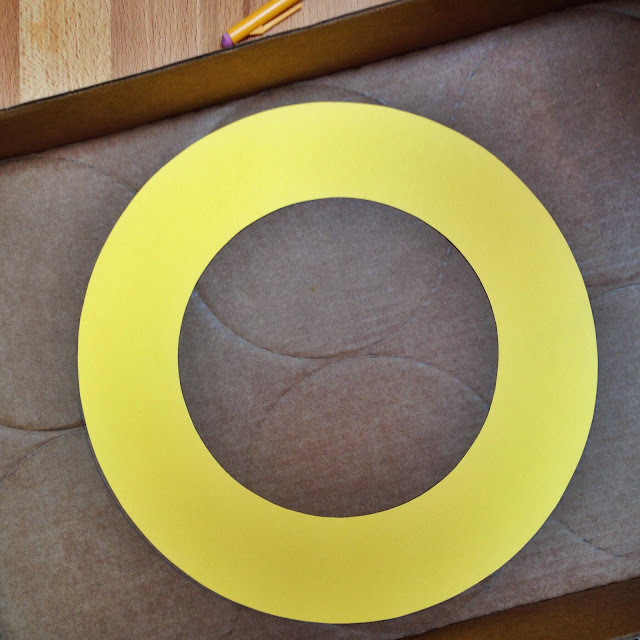 Next, just cut out your paper ring and trace it onto your box or piece of cardboard. Make sure you line up your two rings as well as you can, since your circles won't be exactly perfect. 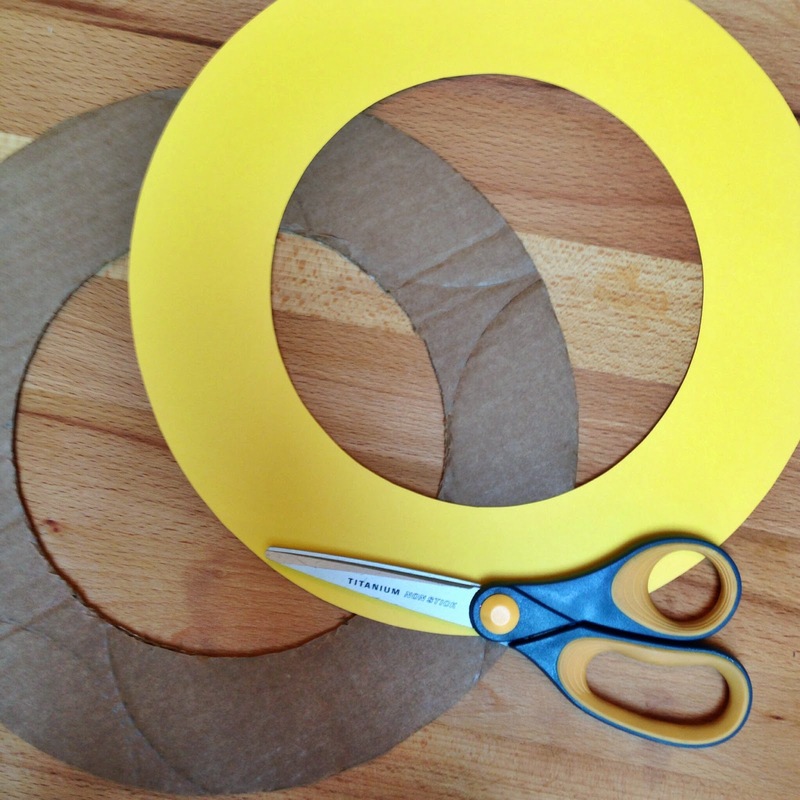 Now, use your glue stick and coat the cardboard REALLY well, and stick your paper circle on. Make sure it's stuck on tight! I had to trim a little off where mine didn't match up perfectly...ugh, more cardboard cutting. Bring on the eggs. I figured out what pattern I wanted before I started. You don't have to do a pattern, it would probably look awesome all random. 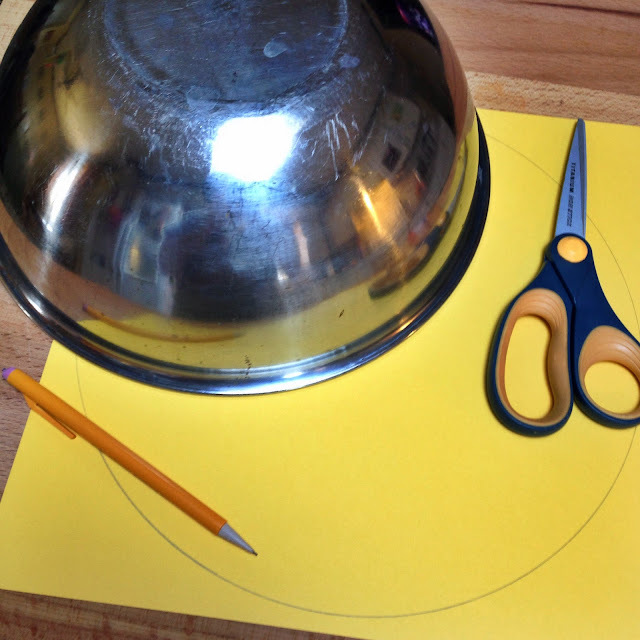 You could even let your kiddo help with this part by choosing which should come next or, if they are older, making their own pattern. Now it's time to stick. I just grabbed two eggs and held them on the wreath to see where exactly my hot glue blobs needed to be, and then stuck them down. Now, just keep gluing. There's no trick to this. 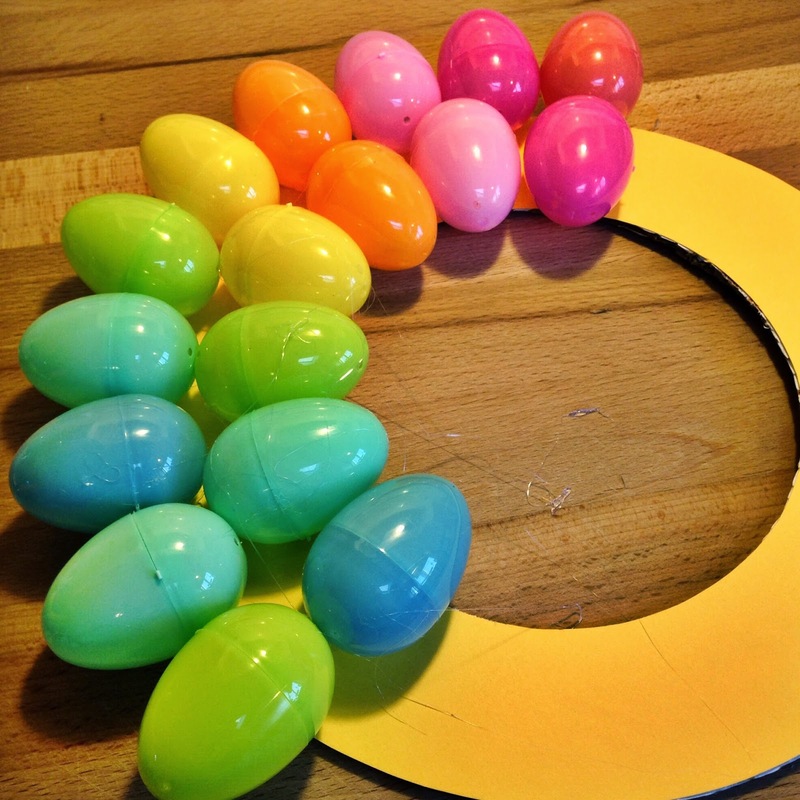 Just line them up however they fit best and try to keep them even so that the tips of the eggs on the inside ring are all hanging off the wreath the same amount, and the outer ring eggs are, too. I don't really know how to describe what I mean...maybe this picture will help? Continue gluing until you can't fit anymore. I had a gap at the top of mine, but don't worry, totally fixable. Now is a good time to pick off some of your hot glue strings. I wish I would've done that at this stage. I waited til the end and they were all tangled and frustrating. 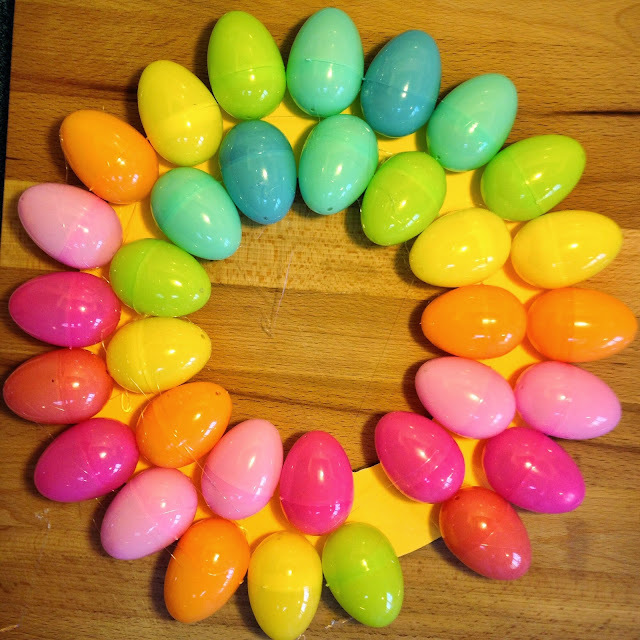 Next step, putting the row of eggs down the center. 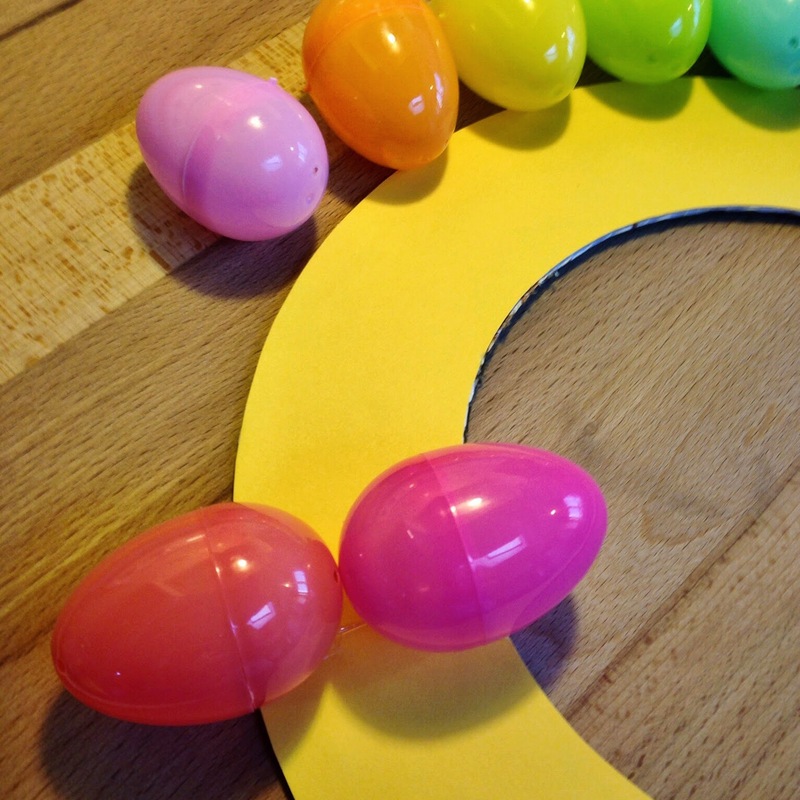 The original Pinterest picture had all the eggs going in one direction in a straight line, and you could totally do that, but I wanted to make it look a little more fun, so I just arranged them my own way and hot-glued them down. Okay, so back to the empty space. First, I tucked the piece of ribbon I wanted to use for the hanger in the gap and hot glued the two ends on the back to make a loop. Then, I glued one last egg to fill in the row of eggs in the center. 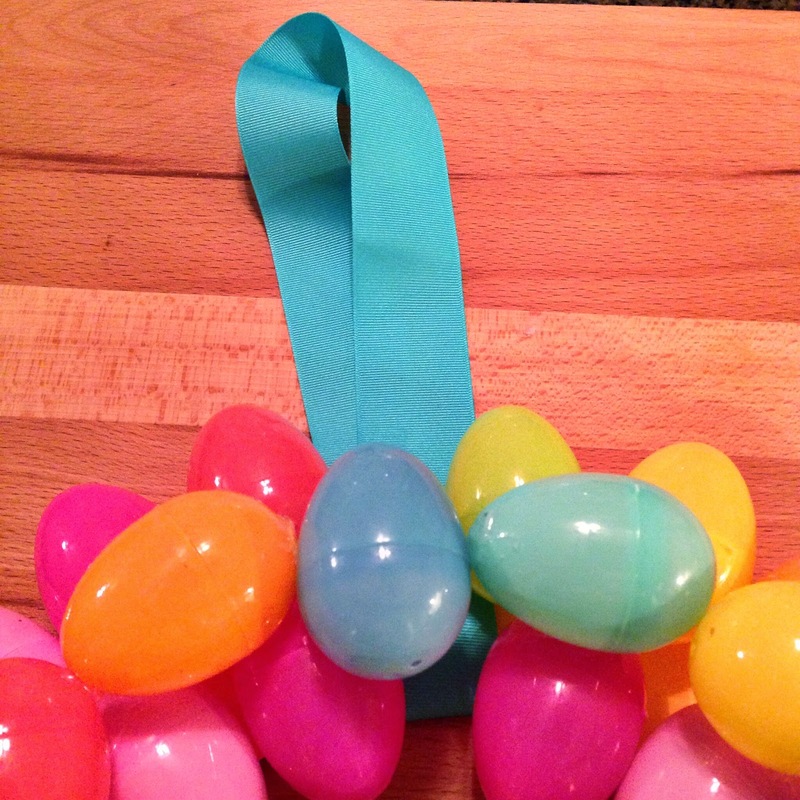 I added a big ribbon bow, hot glued that to the fill-in egg, and VOILA! 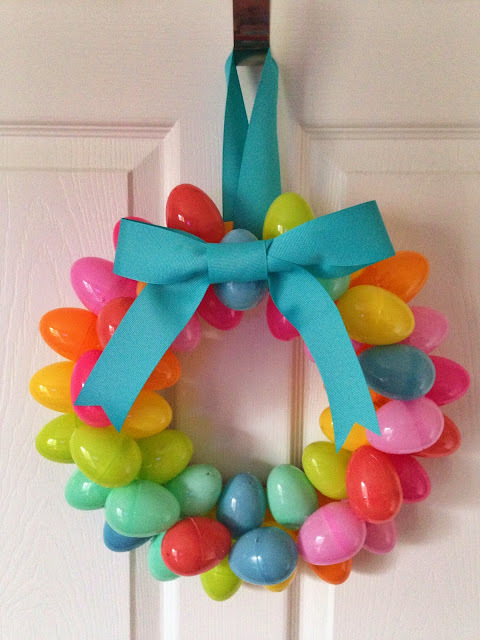 I was going to fill in the wreath with iridescent Easter grass, but I didn't know how I was gonna get it to stick and I already liked how it looked without, so I decided to just leave it plain. It looks really cute and happy on our front door. I was so happy to put away the winter wreath, but Dave was even more happy to see that thing head to the basement. Our winter wreath is one of those that looks like frosted branches with little plastic crystal things that fall off everywhere and wind up in your shoes and digging into your bare feet. He hates it. 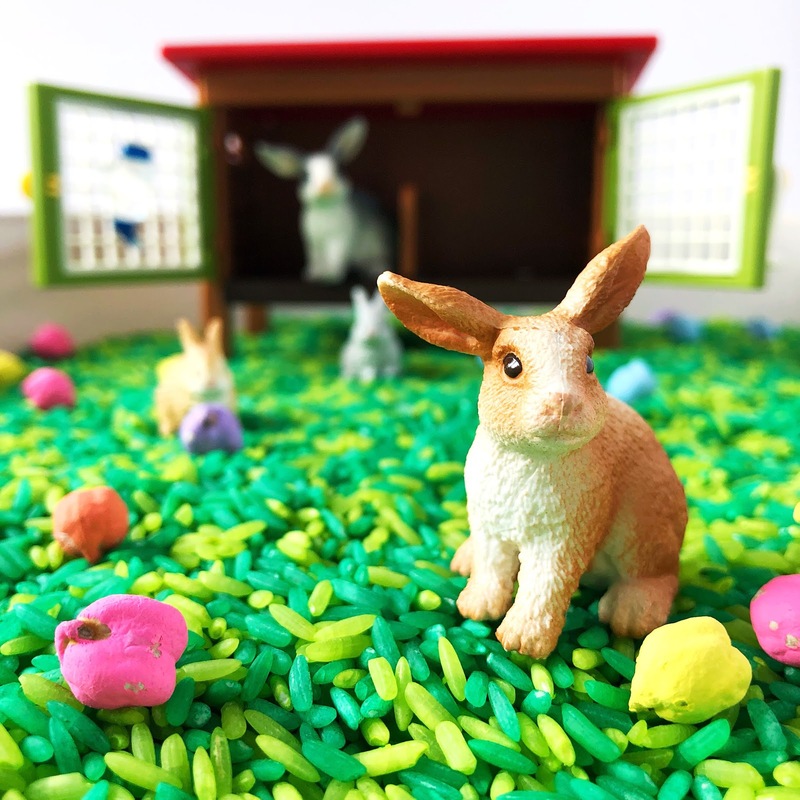 To add Easter grass to it, you could always add the grass in between the first to rows just some of poke it down between and stick it on with hot glue. 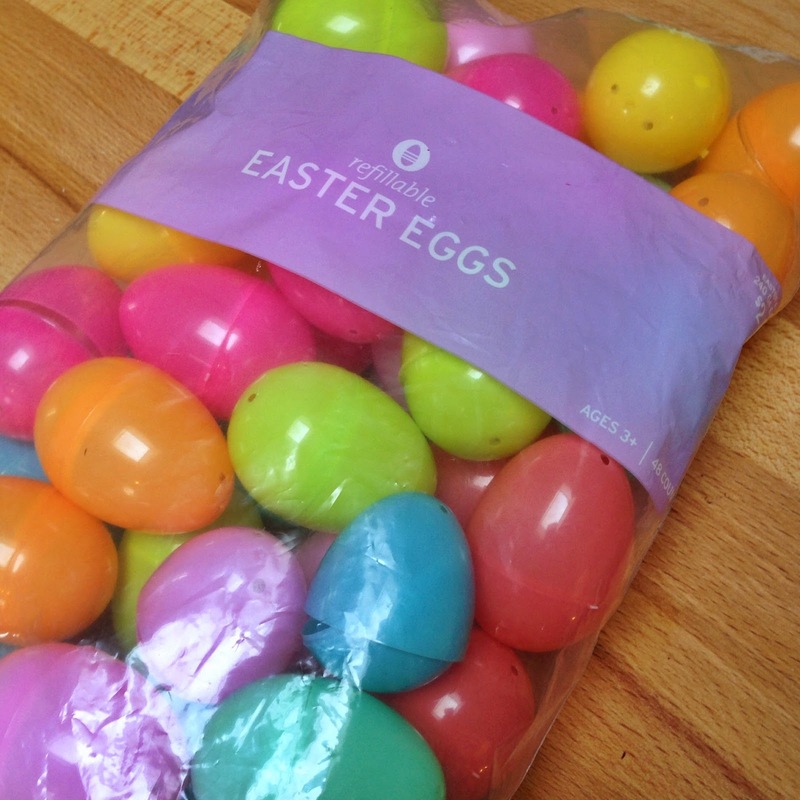 Then put you last row of eggs on the way you did and you would have bits of grass peaking out. That's just how I would do it if I was going to add the grass. Honestly though, it looks great just like this. That's a great idea, Alisha! Thanks, Jill! I totally will link up...thanks for stopping by! Cara, this is so adorable! 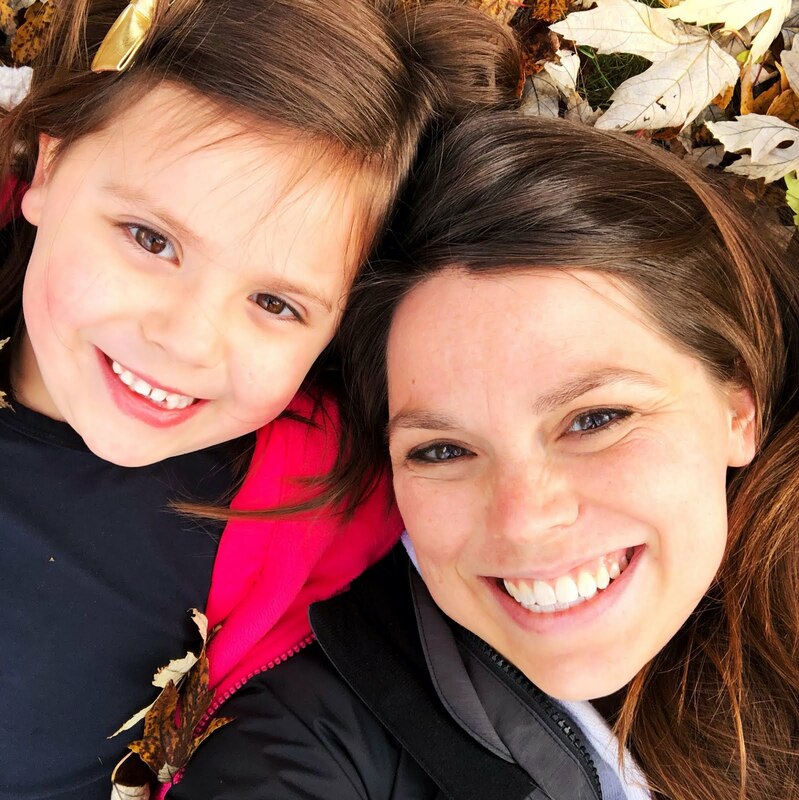 Visiting from TT&J - thanks for sharing and pinning! Hope you have a happy weekend! 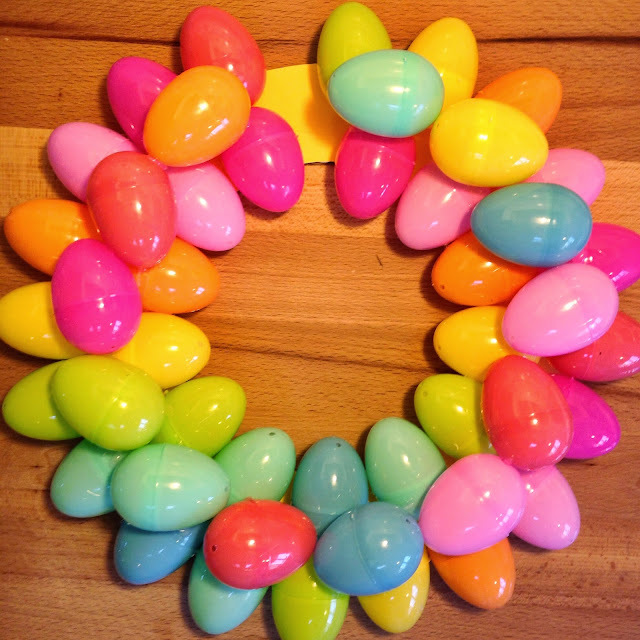 I have a ton of plastic eggs - great way to use them up. Well, hello newest follower! :) I understand about being cut off from craft supply funds...story of my life! I try to make stuff on the cheap so hopefully I'll post something you can make to use up what you have, and get your craft store spending privileges back! ;) Thanks for reading, friend!